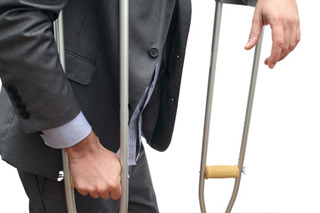 The recovery of money damages for personal injury comes in many forms. Vehicle accidents, and fall down cases are the most common. But, also significant compensation can be recovered in actions involving products liability, workplace accidents, premise liability, sports related accidents, dog bites, municipal liability, and other negligent acts and omissions. All personal injury actions have one essential factor in common. Where the responsible party, usually through its insurance company, is unwilling to make a reasonable settlement offer, the case will be decided at trial. This is where a superior trial lawyer is critical. At the Oxman Law Group, we try cases…and the insurance companies know it. We do not settle for less, and have a reputation of taking hundreds of favorable verdicts. We will represent your interest to the fullest extent of the law. At the Oxman Law Group, personal injury and wrongful death cases are handled on a contingency basis. Initial consultations are free of charge, and attorneys’ fees are earned only, if and when, a successful recovery is made.